Amy Braat, author of "The Roebot Girl Series" has worked in the engineering field for over a decade. She has a BS in Mechanical Engineering and MS in Engineering Management. 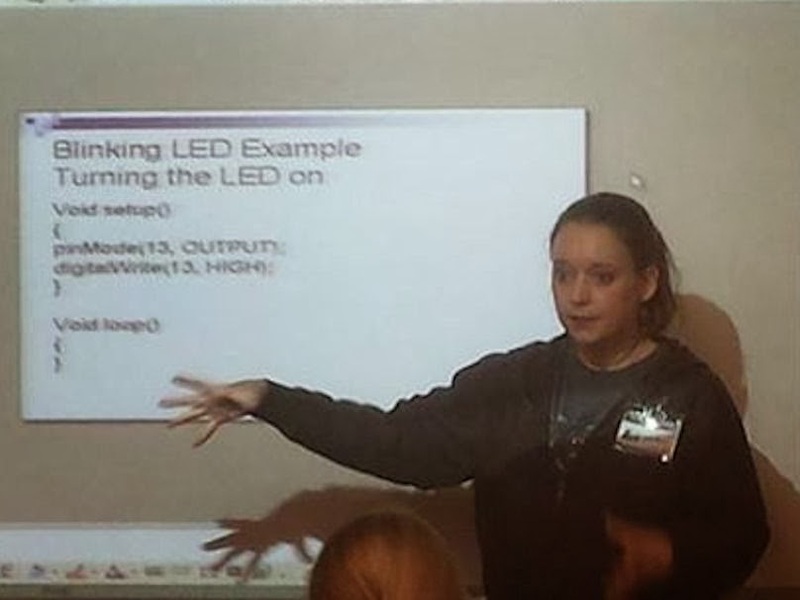 Most recently, she has been involved with Girl Scouts Engineering days and planning programing weekends for PIC controllers. 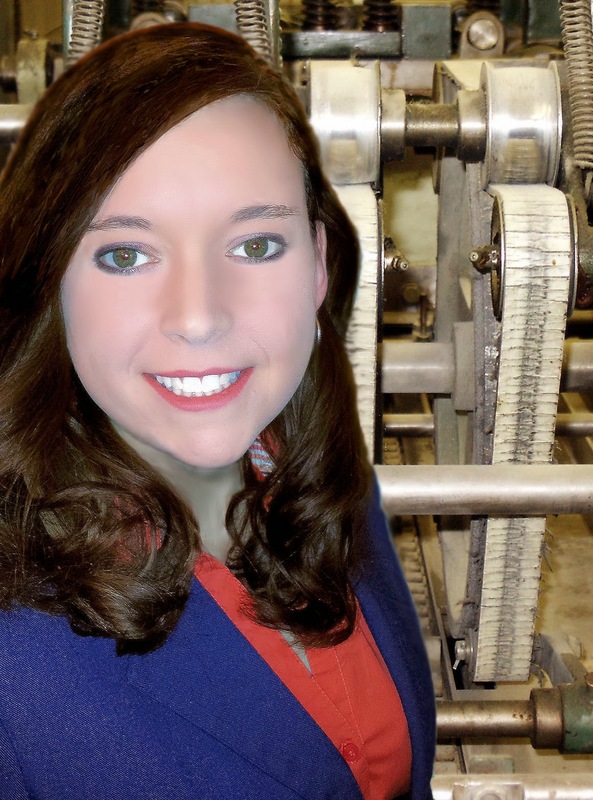 Amy has worked in the electrical, materials and mechanical fields. She has designed and sold kits for war game terrain to doll furniture through Amy's Crazy Crafts and posts Instructables for fun projects she thinks up. She currently owns, KAB CNC Creations, LLC, a small prototype and custom manufacturing business with her husband, who is also an engineer, in Portage, MI. 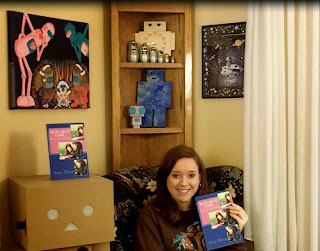 Amy with her new book, she made most of the items in the picture. Amy painted two of the painting with the pink robot one for her and one for her niece. It shows Amy and her niece fixing a robot dog. Amy got her inspiration from a painting done by Mike Best. The other robot print is by Mike Best, Amy framed and laser cut the boarder around the print. The robot in table to the right is an instructable Amy did. Amy made the robot clock (top middle). Matryoshka Madness Robots (middle top in front of robot clock) were a gift from Amy's sister. Amy made the blue robot piggy bank with her name on it, it is also an instructable. The little Gir robot (middle) was a free design online that was printed, cutout and put together.